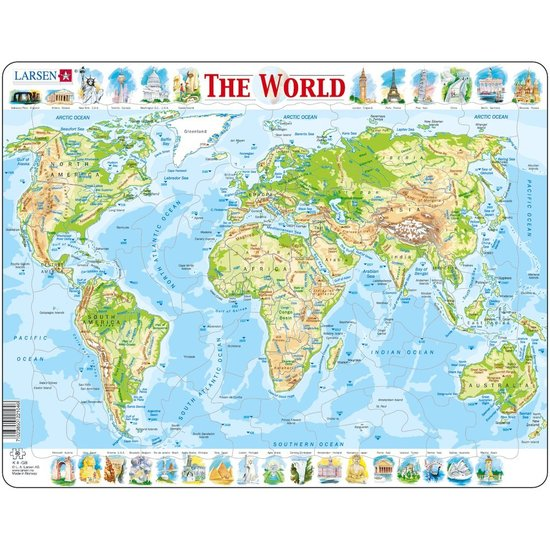 Learn about the cities and countries of the world in this puzzle, then it can be proudly displayed by your kids in their rooms. Also ideal for schools and classroom use. 80 pieces. 36.5cm x 28.5cm These puzzles are made with a tray and permanent edge. The puzzles are deeply cut, so the shapes of the pieces can be seen in the tray below.